The good news is that does not happen often but I have seen two cases in my 15+ year career where a prostate was removed for cancer and then with no evidence of malignancy in the gland after it was removed. 1. Mishandling of prostate tissue where the little jars carrying tissue solutions mix are switched up. 2. Misreading by pathologists. One pathologist may label a tissue sample a Gleason 7 (3+4), and another might label the same specimen a Gleason 6. Such confusion makes all the difference in the world on what treatment the patient undergoes which can be life-altering. Also, the psychological impact can be daunting as a higher the Gleason score can potentially be a more aggressive cancer. 3. Size of the prostate. The standard 12 cores biopsy can more easily miss cancer all together as the ratio of samples to prostate volume is a factor as well. In plain English, it is easier to find prostate cancer with 12 cores in a gland the size of 45cc gland compared with a 145 cc gland. 4. Tired eyes. Again, human error can occur by pathologists being overworked and by daily over analyzing many biopsy samples. How can this happen? Why does it happen? The simple answer is that pathologists are human and there is a degree of subjectivity in reading prostate biopsy samples. They are observing architectural type patterns which is naturally a subjective process. The other reason is that, like in anything else, some pathologist are more experienced than others. More experience reading prostate samples the accuracy in diagnosis. The pathologist who read more than 5000 examples a day are more accurate than those who read 1000 or less. One study showed that a wrong higher Gleason score can happen up to 17% of the times. 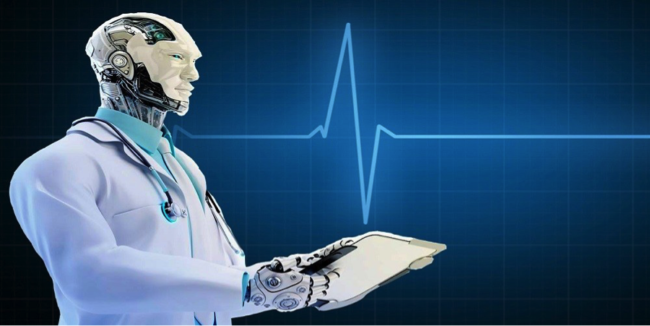 Numerous institutions are looking at artificial intelligence (AI) as a method of diagnosing prostate cancer to improve diagnostic accuracy. A Chinese group 918 prostate whole samples from 283 patients, and ran these through the AI system, and results showed an accurate diagnosis in 99.38%. In New York, an AI-guided machine learning technique to analyze cancer tissue samples from 590 patients who underwent radical prostatectomy (prostate removal) was able to reclassify 58% of intermediate-risk patients to low risk and 42% to high risk. For an AI system to be approved for the diagnosis of prostate cancer it may take up to ten years. For now (December 2018) the best method of diagnosing prostate cancer is getting an MRI guided biopsy, then your physician sends tissue samples to a standard pathologist for review. If the diagnosis is a Gleason 6, Gleason 7 (3+4) or (4+3) send slides to another pathologist for a second opinion as the someone else may downgrade or upgrade. For Gleason 8 or higher, there is almost no chance of downgrading to a lower Gleason, so sending tissue samples for a second opinion is likely not worth it. It is my understanding that improved imaging technologies that have the potential to diagnose prostate cancer may be available within 36 months. But beyond that, the defects and risks of biopsy may outweigh the lower risks and benefits of emerging treatments. What is it going to take to bypass traditional biopsy and move directly to more benign treatment protocols? I do not see anything in sight that will bypass prostate biopsies. Next Post: Are Organic Foods Worth it?